John Taylor is a private detective with a very unusual gift: he can find anything with the supernatural ability he calls his 'private eye'. But some things are better left hidden, as Taylor learned during his last case when he made the most dangerous of discoveries: the true identity of his long-departed mother. 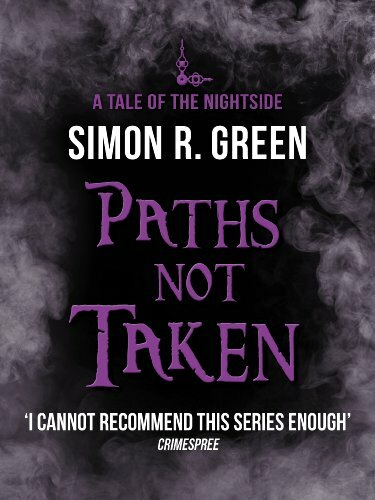 He now knows that it was she who created the Nightside – the twisted, noir playground, hidden in the heart of London, that he calls his home – and now she intends to destroy it. Taylor must find a way to stop his mother. He's convinced that the answer lies deep in the past, in the days of the Nightside's creation, so that's exactly where he's headed. But travelling through time is a dangerous business, and the past can be a deadly place. Will John Taylor stop his mother and save the future of the Nightside, or will this be a journey from which there is no return?